The Jim Corbett Tiger Reserve is not only famous for being the first national park in India but has also gained the fame for bestowing the densest tiger populations in the country. Perhaps these reasons are magnetizing numerous animal lovers and tourists to find the majestic glimpses of these big cats in the country. People are making a good sum of efforts in increasing and preserving these gallant features but a new problem has arisen for the forest department. Many tigers are going beyond the park boundaries in search of the fresh territory. This is really raising issues and will bring them in dispute with people by actually attracting them for poaching. According to the Chief Wildlife Warden, SS Sharma, with the increase in the population of the tigers the area of their movement has decreased causing them to move away from the vicinity of the Corbett Reserve in search of water, food and rising temperature as well. Although it is good news for us that the tiger state, Uttarakhand has shown a great rise in the counts; from 178 in 2008 to 235 in the recent survey. 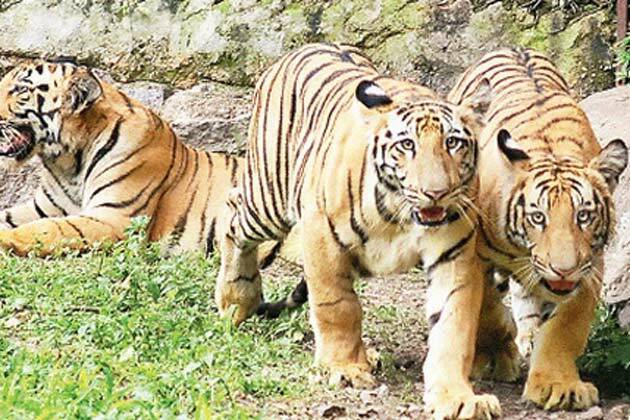 But now, it is most urgent to make the necessary efforts for the protection to the tigers in the adjoining Lansdowne and Ramnagar forest divisions. An another tiger expert, Mr. Anand Singh Negi has cited that the better management in the park is very essential and the provision of food and water for these wild creatures is a definite requirement, the lack of which will definitely force them to cross the boundaries causing them in the fear of poaching and death. The news of banning the tourism in the core areas has already brought many difficulties in the visiting of these creatures and if such negligence will continue, it will really bring a negative impact on tiger tourism. Thus, the management should pay an attention to the increase in the count of the tigers and should also focus on the increase in the territory of the jungle and their natural habitat; especially in the Corbett area. To avoid the future conflicts among the men and the tigers, it is very essential for the forest officials to bring the necessitated steps for the security of the pride of the jungle- the tigers.